Limited Time! Free Shipping ! 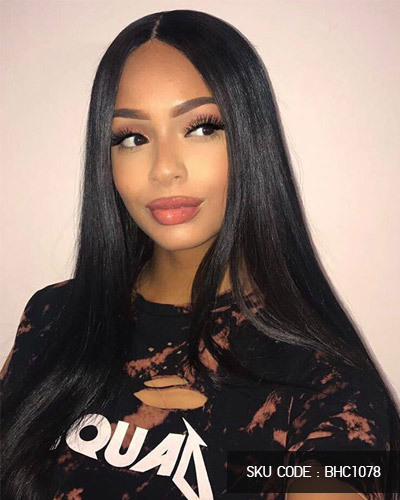 * Are you new to wearing wigs and wanted try some lace front wig styles to have your wig looking as ‘natural’ as possible (not like a Halloween costume) but you were extremely nervous about having to glue down a wig or anything like that ? * Are you losing your edges from using adheasive , glue or gel to intall your wig ? * Are you having a headace from traditional wig fasteners ? 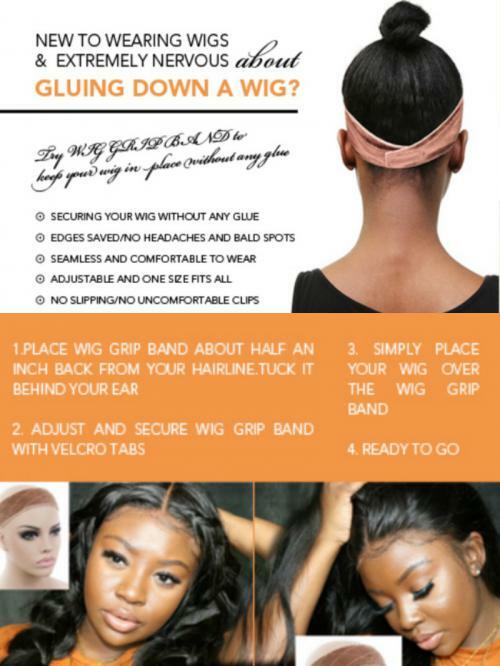 If you are having all these issues and struggles ,then this wig grip is just for you.Wig Grip is an wig accessory to keep your wig from sliding and in place without any glue, gel or elastic band. 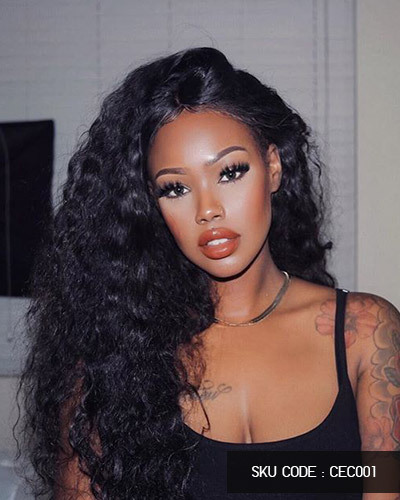 I really love it for my 360 lace wigs! This is the best wig grip ever!! It's AMAZING!!! Super comfortable and easy to wear... I have a wig that's very uncomfortable to wear and this wig grip makes it so comfortable!! !Love it! Amazingly comfortable. High quality. Beautiful and soft. Holds wig in place very well.I had difficulty keeping my wig in place but the headband works great. It is easy to put on and adjust. I highly recommend you try it. Wig grip arrived in great condition! Prevents my wig from slipping off. Tried plenty other brands and this one actually WORKS! Relieves a lot of pressure off the head. Awesome!!!! Get this believe me you won't regret it. Works great... so helpful.It holds your wig in place without the worries of having it fall off. I had an embarrassing situation in which someone put their hand over my head, and hit the front part of the wig.This is no longer a concern of mine. I would definitely recommend this product. This thing is amazing! This is the absolute best wig grip I've ever purchased for wigs and scarves. It's secure and so soft.This makes my wig very secure. I no longer get nervous on windy days.I have purchased this product twice now! It feels great to be able to wear my wig without constantly tugging at it and being worried it will shift while I wear it. It does a great job of keeping my wigs securely in place. The quality and price is good. I highly recommend this product! So excited to wear this. They don’t slide off and my hair style stay in place for the whole day . This is well constructed and is high quality material. I will definitely order more. I'm so happy about this purchase! I feel confident again! Really works, it helps to keep your wig in place all day no matter how loose your wig may be. I’m very pleased about the quality of these and the fact that these actually do work great. I’m ordering another one soon. Wonderful product. This is a great item for anyone that wears wigs. It secures your wig in place and you don't have to worry about the discomfort of combs. This product gives a peace of mind and security, especially on windy days. This product is amazing! 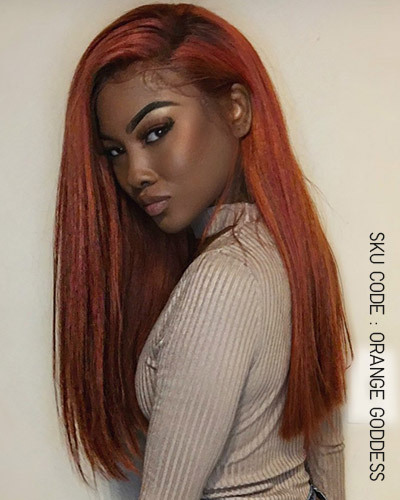 It keeps my lace front in place all day even with me having a small head it still works.Product is as described, comfortable and soft and will keep a wig on your head. I'll be getting my mother one too! I received the wig grip pretty quick. This product honestly gave me more comfort with my wigs, less tension on my baby hairs. It is sooo comfortable and works amazing. I love this and will order more. Love it. Strongly recommend. This is wonderful! It has velcro strips to keep it on and therefore it is adjustable for all head sizes. It fits well and stays in place and holds my wigs in place. Had no worries of it slipping or coming off. Very comfortable. Will buy again. This is a must have if you wear wigs. This is my first time wearing a lace frontal and I was worried about my lace shifting from side to side. Works really well to keep your wig in place all day, and blends really well. Great customer service! Perfect for keeping any wig straight, secure, and snug. It keeps your unit securely in place and the velvet is soft and comfortable. It's easy to use and it holds a wig securely. I recommend this to anyone who buys wigs.Love it! I really like this wig holder. This amazing band is the truth it keeps my wig in place until I'm ready to take it off! The wig grip holds so tight that I no longer worries about my wig slipping back off her head. It works fantastically! I am new to the wig and I hate feeling like my wig is sliding backwards. So I came across this by the instagram. Easy to put on, easy to take off, easy on my hair. It holds my wig firmly all day. I will purchase again. Very happy with it. I ordered this because I am so tired of putting combs through my braids. these are the best wig bands. Quality is excellent, the Velcro fit well, it does make me feel better that this was worth the buy. My wig feels very secure! I absolutely love this product! This band is very comfortable under my wig. It is much easier and more convenient for me than the nets. Happy with my purchase and I would buy it again.